Right now, four states and Washington D.C. have legalized recreational marijuana usage. Other states allow medical marijuana for the treatment of certain illnesses, diseases, and disorders. 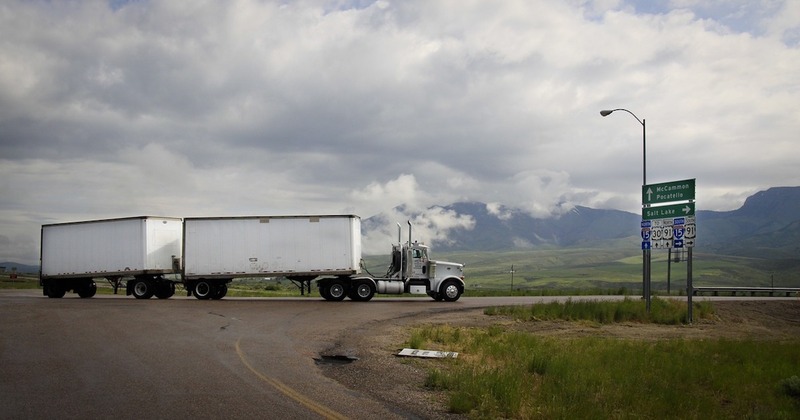 While legalization has not taken place at the federal level and there are plenty of drivers who don’t live in states where it is legal, it’s still having a big impact on the trucking industry. Plenty of drivers across the country understand that they cannot have even trace amounts of any drug, including marijuana in their system. If drugs like THC, the active component in marijuana, are found in a drug test – random or otherwise – they could be out of a job. Knowing this has not stopped some drivers in states where marijuana is legalized from being caught with even the smallest amounts of THC in their system. Some drivers may think that, because they were off the road for a while that their recreational marijuana use is no big deal. If it’s legal, why not? The problem, though, is that THC still shows up in a urine drug test long after the effects of the marijuana have worn off. That small amount is enough to take you off the road – temporarily or for good. Good, long-term, professional drivers have lost their jobs over it. In an industry facing major shortages of drivers, fleets cannot afford to lose good drivers for a temporary lapse in judgment. If you live in a state with legalized marijuana or if you don’t, but figure it doesn’t matter because marijuana doesn’t really harm anyone, think again before lighting up. The trucking industry is governed by the Department of Transportation (DOT) which has a zero-tolerance policy against any type of drug use. The biggest reason for this is, of course, safety out on the road. Impairment of any kind gets people killed in accidents every day. The other reason, however, is because marijuana is still illegal at the federal level. Until that changes, there’s little reason to believe DOT will relax its stance. For drivers who are found with THC in their system in random drug tests by the DOT, you may not lose your license. You could lose your job depending on your employer’s drug-use policies (most of them are zero-tolerance, too). You’ll definitely be sidelined from the road until you complete a return-to-work program through DOT. Either way, you may find it more difficult to get hired by another company later. The bottom line is this – until marijuana use becomes legal at the federal level (not likely anytime soon) and the DOT changes their rules, don’t smoke or ingest pot in any form. It won’t matter if you’re no longer under the influence when you’re found out. You’ll be out of work and money, and the industry will have one less driver at a time when we can’t afford it. Esta entrada fue publicada en Safety, La vida de camionero. Guarda el permalink.